Before the commercial drone industry boom of today, drones were primarily utilized by military and defense operations. One of the biggest revolutions in the past two decades of warfare has been the rise of drones, or unmanned aircraft systems (UAS), that can do everything from conduct airstrikes to disable roadside bombs.While drones grow in popularity across other industries, unmanned systems continue to make a dramatic impact on military deployments. The benefits are wide-ranging, including the drones themselves and the technology enabling data integration for operators. There has been a lot of discussion concerning North Korea and U.S. missile defense. North Korea has captured the world’s undivided attention as Kim Jong-Un’s regime continues to blast missiles out to sea. Today, on the Korean peninsula, the United States Department of Defense (DoD) is working to manage situational awareness while monitoring threats from North Korea. In particular, at the United States’ 35th Air Defense Artillery Brigade headquarters in South Korea, teams of soldiers work 24/7 to provide real-time surveillance of the ballistic missile threat. These soldiers play a vital role in monitoring and receiving information to ensure U.S. missile defense is ready for any situation. Using an operational intelligence platform bridges the gap in data flow to enable military and DoD UAS users to more quickly and easily access data to provide a Common Operating Picture (COP). Users can better achieve predictive, preventive and reactive analysis based on sophisticated algorithms for complete operational and situational awareness during mission-critical events. Protecting personnel in combat-heavy zones. In current military zones, keeping personnel safe during complex missions is a top priority. 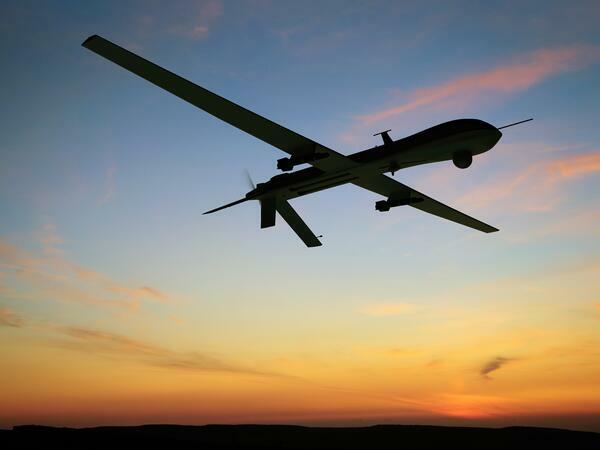 Utilizing UAS technology can eliminate the need to send them directly into conflict-ridden situations by flying over areas of interest, collecting essential surveillance and relaying the data back to the command center. Through applications that run on OI technology, command forces can gain situational awareness through a COP that shows details of the area by collecting and integrating various data sources. With this information, military units can create a plan of action to better identify targets, protect infrastructures, improve safety and even record the mission for training after the operation has concluded. Supporting communication in low-bandwidth regions. Military drone operations often take place in remote locations with poor communication systems, making effective communication between the control center and deployed personnel challenging—if not impossible. Using an OI platform, UAS technology can facilitate correspondence in these low-bandwidth situations by integrating and analyzing highly disparate data sources in real time. A robust UAS system can prioritize data such as live GPS coordinates, mission data, weather conditions, video and other sources to allow communication to be transmitted in remote areas. These advanced processing methods provide both deployed personnel and mission control with crucial information needed to make time-sensitive decisions. The U.S. military is even exploring autonomous UAS technology that can operate without GPS data. Although it’s early in the development stages, missions that are considered too dangerous or complex for humans may soon be delegated to autonomous drones, which can go into harm’s way without any risk to military personnel and can make intelligent decisions significantly faster. Simulyze’s OI platform allows UAS operators to operate safely and efficiently with real-time data insight and situational awareness that enables well-informed decisions. Its data gathering, image capture and data analysis capabilities are set to transform the way the military functions with unprecedented visibility into intelligence information. Schedule a demo with Simulyze today to learn how operational intelligence applications provide a foundation for actionable insights in military and defense UAS operations.